Tapered bearings use rollers instead of ball bearings to provide the smooth movement. Where most common roller bearings take only radial loads, the taper angle supports radial and axial loads. 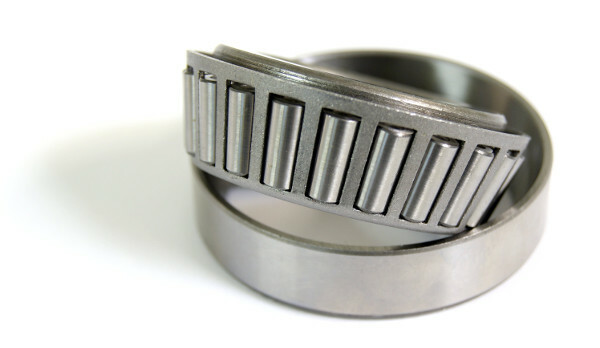 The tapered structure of the bearings enable it to carry higher loads and withstand higher lateral forces than the ball-and-cup counterpart bearings due to its greater contact area and cup angle; where the greater the angle the greater the ability of the bearings and its load handling.